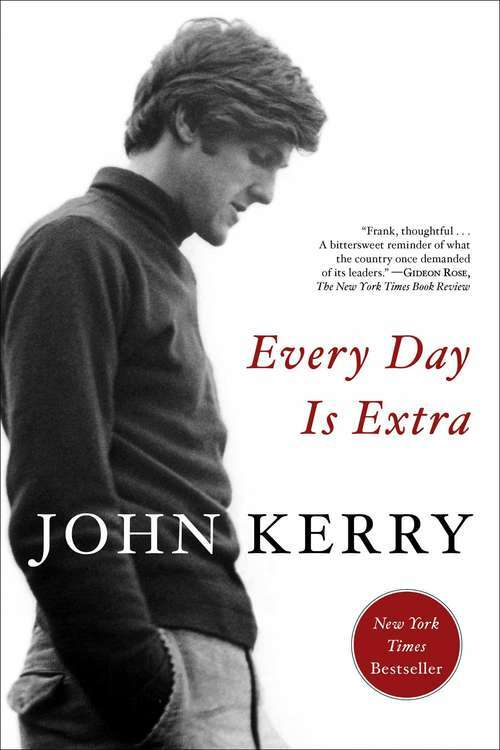 Every Day Is Extra is Kerry’s passionate, insightful, sometimes funny, always moving account of his life. Kerry tells wonderful stories about colleagues Ted Kennedy and John McCain, as well as President Obama and other major figures. He writes movingly of recovering his faith while in the Senate, and deplores the hyper-partisanship that has infected Washington. Few books convey as convincingly as this one the life of public service like that which John Kerry has lived for fifty years. Every Day Is Extra shows Kerry for the dedicated, witty, and authentic man that he is, and provides forceful testimony for the importance of diplomacy and American leadership to address the increasingly complex challenges of a more globalized world.